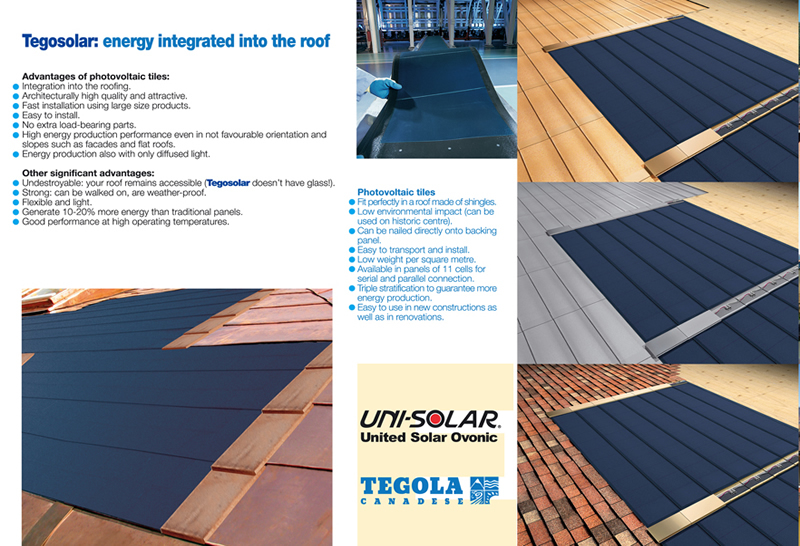 Tegola Canadese can complement its roofs with the photovoltaic tiles,Tegosolar, leaving full freedom in the design of the roofing. 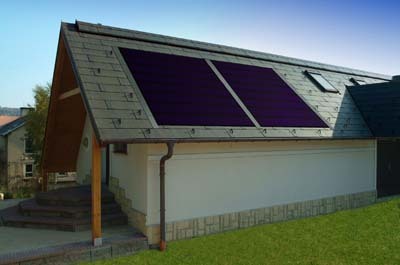 The photovoltaic tiles are in amorphous silicon with triple junction, work well both with direct light and diffused light, and can better capture the 3 colours of the solar spectrum. 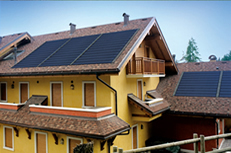 Photovoltaic tiles are flexible, resist freezing conditions, and can be safely walked on. They are not reflective, are easy to move and lay, are self-cleaning and have a better performance for unit of power installed. Copyright ©Copper Roof 2007, All Rights Reserved.